Having decided what your strategy is. Having written your marketing plan. Having thought in depth about your objectives, your competitors, your brand, your product and/or service benefits, your messages and your communication channels; you can start filling your funnel. Although funnels tend to be used for new customers, lapsed customers and even existing customers can enter different areas of the funnel. All customers don’t have to start at the top. Remember funnels are all about customer engagement. Start by profiling your most valuable customer(s). You’ll be able to pluck this straight from your marketing plan. You will need to refine that profile as you go through funnel cycles. Each cycle will give you more information about your market and your customers. The funnel will leak. Either deliberately because you’ll lose customers through the selection process or unintentionally because you don’t have time to perfectly manage the system. This is one reason why customer relationship management systems come in handy. Once you have an idea who your valuable customers are, you can collect customer data. This can come from many sources including your website and purchased data. No source will be 100% accurate so you’ll have to refine the data. At this point it’s probably going to be your best guess who actually meets your criteria and will involve some preliminary marketing research. Next you need to qualify a potential valuable customer. This is where you begin to get to know your contacts. You will begin to understand where they fit into your business, as a supplier, as a valued contact, as a potential customer etc. From here you start developing relationships. The relationship may turn into a commercial relationship if and when all feel it is appropriate. 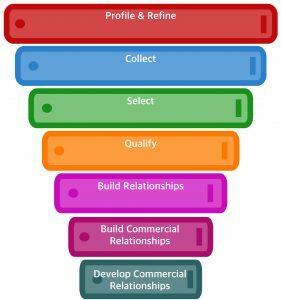 Once a commercial relationship has been built you can develop that commercial relationship further. 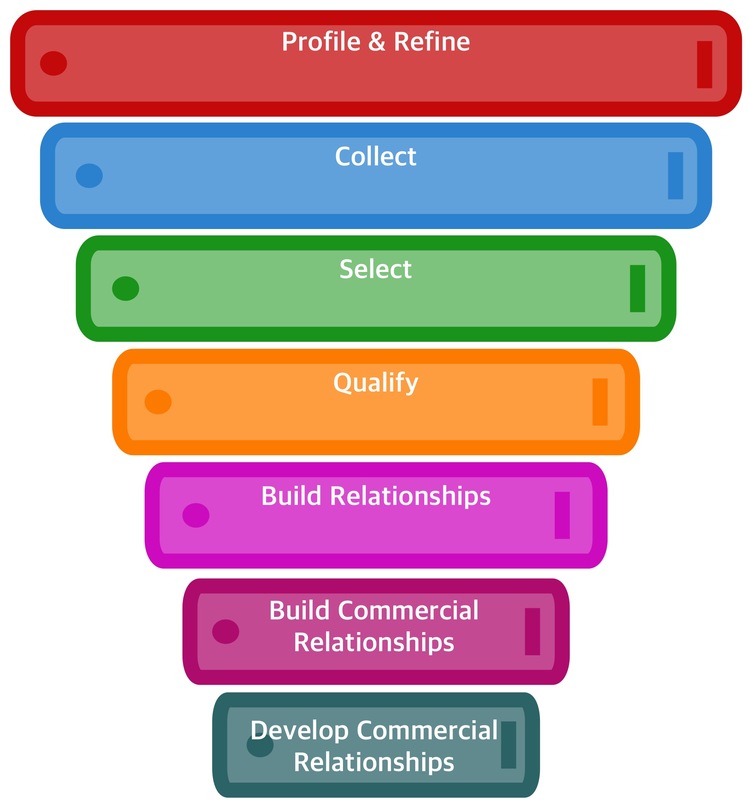 Existing customers enter the funnel here, as you look to build a commercial relationship that will last a life time. You can see why existing customers are very important. It takes a lot more time and resources to acquire new customers then it does to serve an existing customer. So it is well worth developing that customer relationship as much as possible to the mutual benefit of all involved.